Wonderful stories, beautiful audio, entertaining for kids and adults alike. Our kids (ages 5, 8 and 13) LOVE this podcast. The stories & narration are great, the music is beautiful. The whole experience is soothing & engaging at the same time, which is perfect for when all in the car are tired or cranky. In this playful tale with roots in Canada, Mexico and Costa Rica, Eris Baker (This Is Us) plays a tricky rabbit who presents her fellow animals with an offer they can't refuse. This week, we’re bringing you an extra-special episode from our friends at the podcast “But Why”: Why do we laugh? Why do you feel ticklish when someone tickles you? Why can't you tickle yourself? We learn about how humor develops with Gina Mireault of the Infant Laughter Project at Northern Vermont University. Also in the episode we hear about April 1 traditions and we listen in to jokes from our listeners with Vermont comedian Josie Leavitt. Jon Cryer ("Two and a Half Men") stars in a story about a man chasing happiness--and the elusive shirt that will make him smile again. This Thai story starring Lee Overtree, Peter McNerney and Meghan O'Neill (hosts of Gimlet's Story Pirates podcast) shines a sparkling light on the treasures that come from honesty, integrity and honor. A special episode from our friends at Story Pirates. In this folktale with roots across Europe and Asia, Broadway legends -- and real-life couple -- Rebecca Luker (The Music Man, The Sound of Music) and Danny Burstein (My Fair Lady, Moulin Rouge) play a clever bird and the prince who tries to catch her. Alexandra Billings (Transparent, Paddleton) stars in this Indian/Persian/Tunisian/Siberian/Iraqi/Uzbekistani folktale about the power of a keen eye and a quick mind. In this Native American story, William Jackson Harper (The Good Place) portrays a tiny creature who teaches the other animals and birds to appreciate what it means to be different. Iain Armitage (Young Sheldon, Big Little Lies) learns a surprising lesson about size, strength and power in this twist on a folktale from East Asia, India, Spain, Latin America and the southwestern U.S. This episode (featuring Melinda Gates) tells the story of Wangari Maathai,one of the world's most important ecologists. Nikki SooHoo (Star Wars Resistance, The Resident) and Christine Toy Johnson (Iron Fist, Come From Away) co-star in this Chinese tale about planting the seeds of honesty. In this Alaska Native tale, Irene Bedard (Pocahontas, Ralph Breaks the Internet) plays a patient mortal who yearns to help the moon carry light across the night sky. In this story from Africa, the Middle East and the Caucasus, Jake Borelli (Grey's Anatomy) plays a prince whose newfound weaving skills come in handier than he ever imagined. We're celebrating Billy Porter's 2019 Golden Globe nomination by bringing back this East African folktale that asks: "Is honesty always the best policy?" To make your winter holidays even merrier and brighter, enjoy 90 minutes of your favorite Circle Round episodes about family! Stories include: "The Months of the Year," "Why The Ocean Is Salty," "100 Rooms," "The Lion’s Whisker,""Three Wishes" and "The Skylark." In this clever folktale with roots in the Middle East and Spain, Rachael MacFarlane (American Dad) and Dee Bradley Baker (American Dad) seek a soulmate whose mind is in tune with their own. Winter is coming.... While we get out of hats and gloves, animals are making their own plans. A four month nap? Extra food? Flying south? Our friends at "Earth Rangers" get up close and personal with wildlife to learn more. .
Vella Lovell (Crazy Ex-Girlfriend, She-Ra and the Princesses of Power) stars as a young woman who learns the power of her words... and how you can't take the meaner ones back once they're out there. Road Trip Reel: A Feast For Your Ears! Encore: 'The Rice Cakes And The Oni"
Throughout the year, we’re sharing some of our favorite kids’ podcasts with you-- from science shows to storytelling to EAR SNACKS. (That’s the name of this week’s visiting podcast.) 'Ear Snacks' comes to us from sunny California, and is hosted by Andrew and Polly: an award-winning, singing and songwriting duo. John Colaneri and Anthony Carrino (HGTV’s “Cousins on Call) co-star in this story about a man who gets a very tricky lesson about the dangers of gossip. We've teamed up with some of the best kids podcasts out there to bring you our final summer bonus episode, the Kids Listen Road Trip Mixtape. Perfect for your end-of-summer road trip spectacular! In this special episode, we team up with some of our pals for an awesome mash-up of fun! 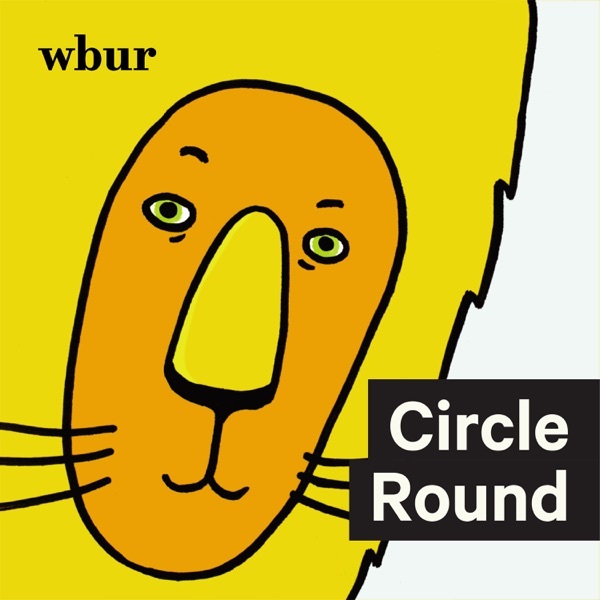 Featuring Circle Round, Wow In The World, Story Pirates, Brains On, But Why, and Eleanor Amplified. Greed. Deception. Adorable baby cows. Billy Porter ("Pose") and Joshua Boone ("Seven Seconds") star in this East African folktale that asks: "is honesty always the best policy?" Richard Kind ("Inside Out") stars in this Middle Eastern folktale about a clever man who teaches his village a thing or two about the dangers of judging a book by its cover. When the most powerful person in the land has never relied on himself, trouble ensues! Keith David ("Greenleaf") and James Naughton ("The Blacklist," "Our Town") co-star in a folktale that claims many homes--from Afghanistan to Greece. Miriam Shor ("Younger," "The Americans,") stars in this Portuguese folktale about a feathered creature who gives a young, inpatient man a lesson he'll never forget. Being a good partner is all about give and take. But in today’s story, Sam Sanders (NPR) and Joshua Johnson (WAMU) co-star in a Ghanaian story about one man who's far more interested in the taking. How Do Our Brains Process Stories? : 'BrainsOn!' Has Some Answers! How do our brains process the stories we hear? What happens when we are introduced to new characters? Our friends from the podcast "Brains On!" help us figure it out! In this Bonus Episode from our friends at "But Why," we reveal who in the world created cake! Do you love science? Mystery? Adventure? You can bet there's a Kidcast for it! This bonus episode introduces you to some of our favorites.